Eating a lot of saturated fat causes an influx of immune cells in the tissues, thus promoting inflammation and tissue damage. New research supports the idea that eating large amounts of saturated fat is unhealthy. Dr. Kevin Woollard, of the Department of Medicine at Imperial College London, and colleagues, conducted a study on mice that have an unusually high level of saturated fat in the bloodstream. The results showed that the presence of saturated fats in the blood is caused by the migration of monocytes into tissues of vital organs. Once organs, monocytes migrated turn into macrophages, some of which continue to absorb fat and become foam cells. Both the foam cells is the macrophages then trigger the production of a signaling molecule called CCL4, which attracts more monocytes into the tissue. This process continues until the level of saturated fat in the blood returns to normal. It is thought that this mechanism evolved to remove the fat from the blood. 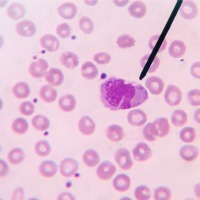 However, researchers believe that there is a downside to this mechanism, as monocytes migrants may worsen tissue damage because exacerbate inflammation or ongoing basis. This is not great concern if blood levels of saturated fats are high only very rarely, but have high levels permanently could mean that the migration of monocytes is routine. "Modern lifestyles seem to go hand in hand with high levels of blood fat. This fat comes from the food and drink we consume," said Dr. Woollard. The researchers also found that only one type of monocytes is involved in the process , thus opening the possibility of developing therapeutic action to these monocytes particular, so as to prevent any damage caused by the accumulation of fat in the blood vessels and organs.